A few weeks ago, I introduced myself and talked about my past experience with beekeeping in a post titled “Beekeeping: A matter of the heart”. The response was quite welcoming and many people were interested in getting more information about beekeeping as a hobby. Keeper of the Home invited me back and asked me to put together both a “Beekeeping 101” intro for those of you who are interested in possibly starting beekeeping and another snippet on “Welcoming Honeybees” that covers the importance of the honeybee and how to help them even if you aren’t interested in keeping them as a hobby. 3 – Get your ducks, well bees, in a row. Find that plot of land to keep your hives. Order your gear through a local supplier or a number of online retailers including Mann Lake and Glory Bee. Start-up cost for one single hive and all brand-new gear is going to be about $200 to $300. Be on the lookout for used beekeeping gear (hat, suit, smoker, etc…) but, be wary of used equipment (hive boxes, frames, tools). Hive parts can harbor diseases and parasites that may have infected the previous colony and transfer over to your new, healthy bees. 5 – Enroll in a formal course. If you live in the Pacific Northwest, check out the Honeybee Centre in Surrey, B.C., Canada (add link here). Otherwise, you can check out your nearest university and ask to speak with their agriculture department. Most state universities offer extension courses at the very least, but a number of them have an apiculturist on staff, too! Any fellow beekeepers out there? Or have you thought about giving it a try yourself? Written by Kate Ferry. Visit her blog at www.sacredbee.net to follow the Ferry family’s effort to buy organic and local, reduce their waste and eliminate artificial and harmful products from their home. Good article Kate. I have a friend that keeps bees for the honey. He produces ery good, raw honey and sells it locally. It is true that honeybees are diminishing, he has fruit orchards pay him to bring his bees to pollinate their orchards because the bees are disappearing! i too can only admire the organization and efficiency of a bee hive, something to envy as a mother! This is very interesting. I have never really thought about keeping bees. It certainly seems like something doable now. Thanks for the information Kate! Beekeeping for beginners is a hot topic among many people interested in beekeeping as a hobby and not primarily as a commercial venture. People interested in beginning beekeeping are becoming more common in urban areas as more people see the benefit of bees that help support their urban vegetable gardens. 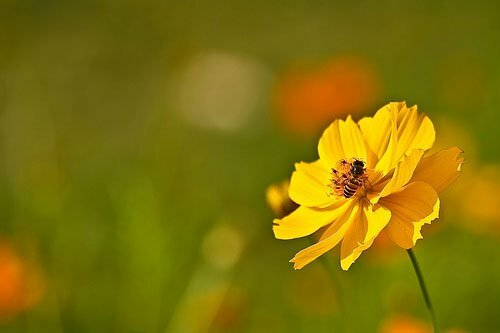 Bees are an important part of the environment and may people are happy that bees are making a comeback. I found this article helpful. I am thinking seriously about getting some bees. A lot of helpful advice and links for anyone looking for beekeeping information . It really is possible to keep bees in your backyard in many areas. Keeping our gardens natural and not using pesticides is a really important point too and something we can all do the help the bees and care for our environment. Wow, can you really start a bee hive on 20 foot x 20 foot of land? I thought it would take more than that. I could do that in my back yard. I’m a city dweller (so I have concerns). Also, I’m glad to hear that by killing wasps I”m helping the honey bees, because I’ve been feeling guilty for killing the wasps that keep trying to build nests in my garage wall. I don’t think people realize that beekeeping is alot of work. 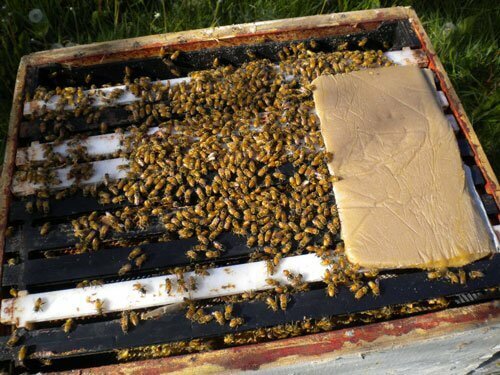 There is so much more to it than just putting a few hives in your backyard and watching them. The bees need a lot of care. You have to medicate them for mites and diseases. The hive needs to be checked for mice and wax moths. If you take care of the bees they will thrive.